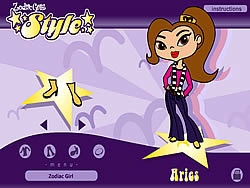 Dress-Up Games - ArcadeGames.com - Play free arcade games. Fun At The Beach ..
Adachi san can wear anything. Everyone loves fashion. 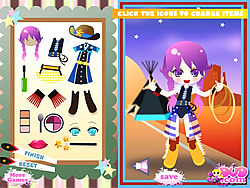 Dress up this lady to make her look stunning and more pretty. 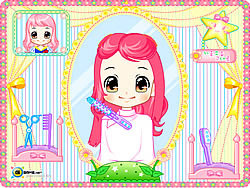 Liam Payne Dress Up .. 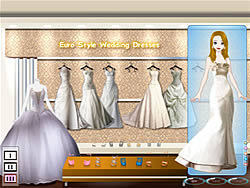 Select a nice Euro-style wedding dress for the lovely bride. Wendy is a cowgirl! She wrangles cattle, rides horses, and loves to go to the rodeo! His good looks make your heart pound…and he can hear it. Costume party at school - it's always fun and mysterious! Anyone can become a real superhero or a dreamlike beauty. 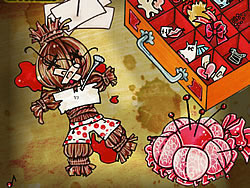 Choose the picture to follow and change Alice's hairstyle! She is back and needs your fashion advice, before she heads back out and fights evil! Be her makeup artist for now. 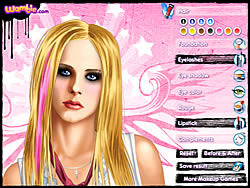 Choose the right makeup styles for this famous pop-rock star. Choose a lovely summer dress for the beautiful lady Nina. Memorize the outfit of Sue wore. 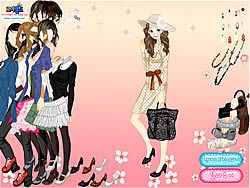 Weekend is coming let's help her to choose a stylish dress to make her more beautiful and stunning.